With all the issue of the transfer of Anthony Davis have returned the doubts about the renewal of Irving with the Celtics. According to Chris Haynes, nothing is clear. 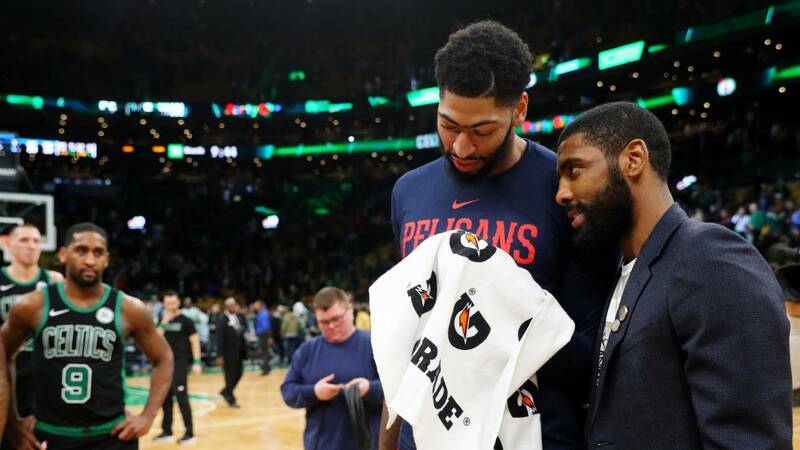 With the confirmation that Anthony Davis had asked the New Orleans Pelicans to transfer him, the names of Lakers and Celtics were the first to appear. It has been talking about them as destinations for the power forward for quite some time. Although now there are several more franchises that may be interested in making an offer (New York Knicks, Denver Nuggets, Portland Trail Blazers, Washington Wizards ...) the two great American basketball are the top favorites at the moment. The Celtics play with disadvantage until February 7. By having Kyrie Irving with a designated player contract in her rookie stage the rules do not allow them to have another one on the roster. Anthony Davis has the same type of contract, so they would have to wait until the summer, when the base runs out of his and he has to negotiate another. This, that would leave them without the Pelicans player if someone reaches an agreement with the New Orleans in the next ten days, it may not be the only problem. As reported by Chris Haynes of Yahoo Sports, the Celtics are not the favorite destination of Antohny Davis. And they are not because he has doubts that Kyrie Irving will continue in Boston next season. And, apparently, those doubts are more than reasonable. The reporter says in his article that the rumor throughout the league is that Irving is thinking very much if renew with his current team, even though at the beginning of the season he committed himself to them that he would. It is not the first time that these doubts appear. So far this year they have asked the player several times about this issue and said a bit about everything, until the last time he spoke about the issue. In that case he made clear his intention to continue in Boston. It was when louder rumors sounded that he would be interested in leaving for the New York Knicks, something that has reappeared again after the earthquake Anthony Davis. So the Celtics have a clear advantage over the rest in what they can offer the New Orleans Pelicans. But at the same time are in a very delicate position because they can not do anything until summer, because Davis does not seem interested in going there and because all this can add a new problem: the immediate future of his star in the franchise.